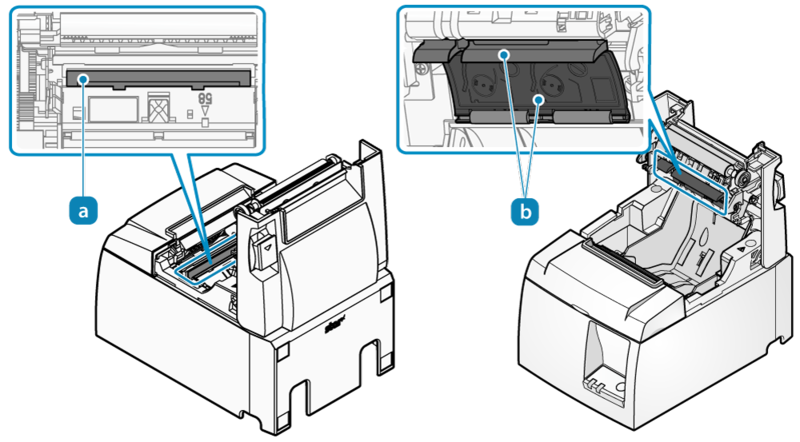 There is a printer head inside the printer that becomes hot during printing or right after printing. 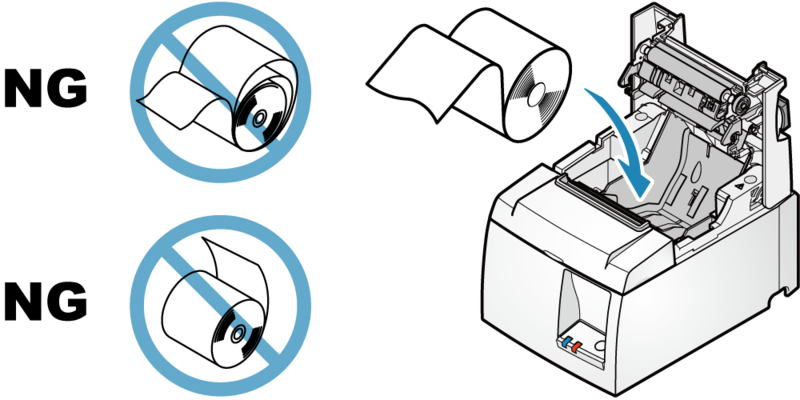 Do not touch the printer head when opening or closing the printer cover. Be careful not to forcibly pull or push the de-curl mechanism part . The de-curl mechanism part may become damaged if strong force is applied. 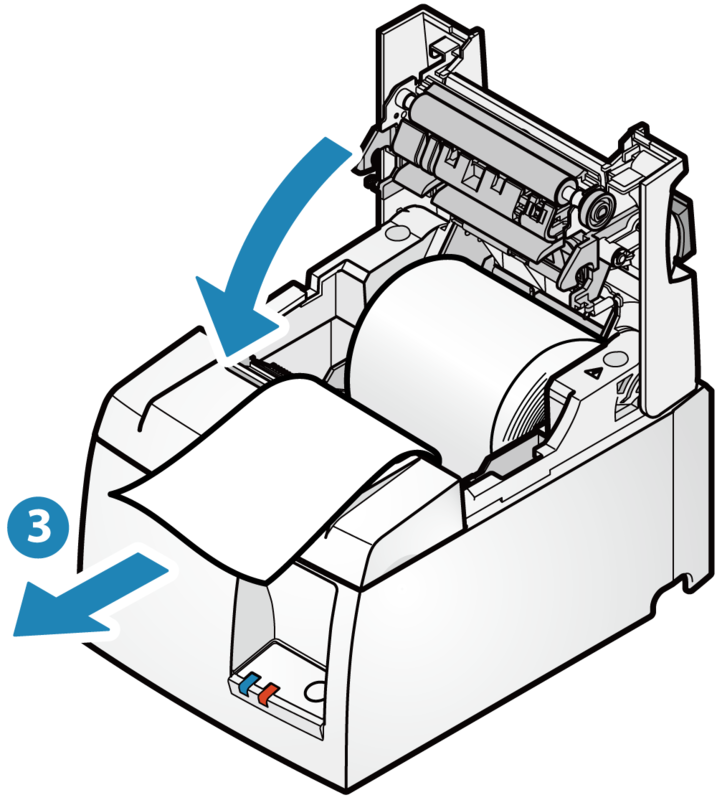 Set the paper with the power on to automatically feed or cue paper. 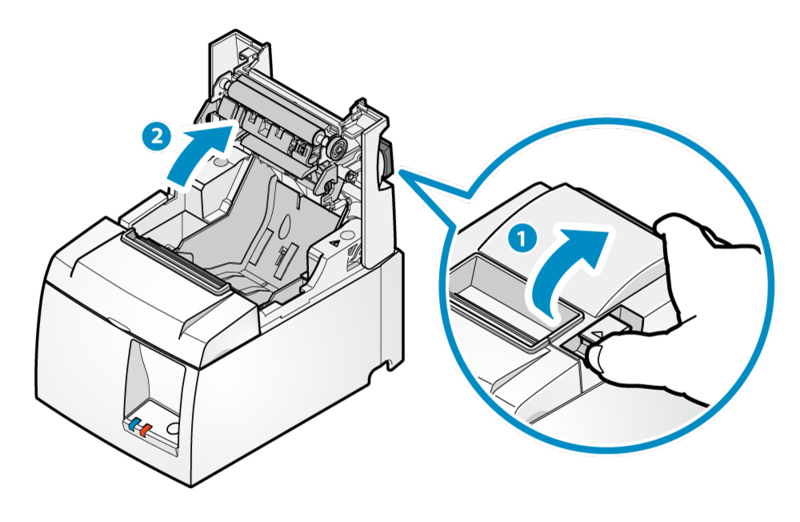 Push the opening lever to open the printer cover . Set the paper roll in the direction as shown in the illustration. 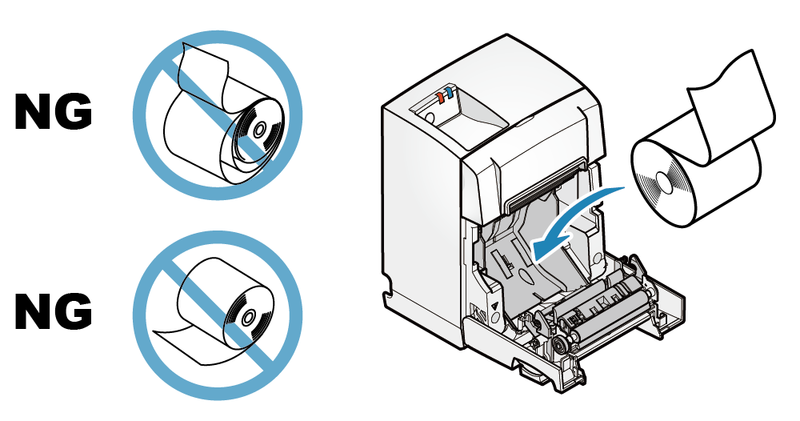 If the unit is set up vertically with the attached mounting bracket or the vertical stand (option), set the paper roll as shown in the next illustration. Pull the end of the paper straight out , sandwich the paper and close the printer cover . 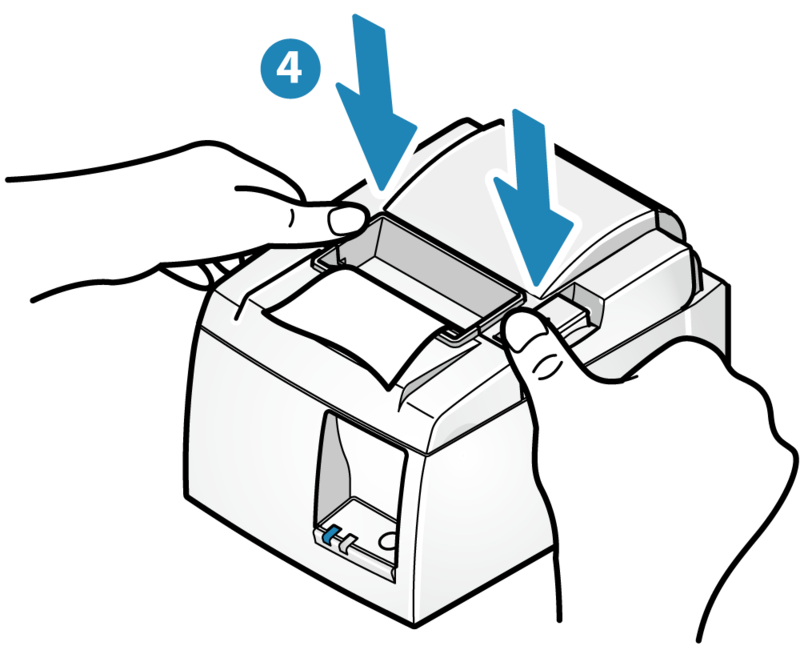 The setting is completed when the paper is cut automatically. 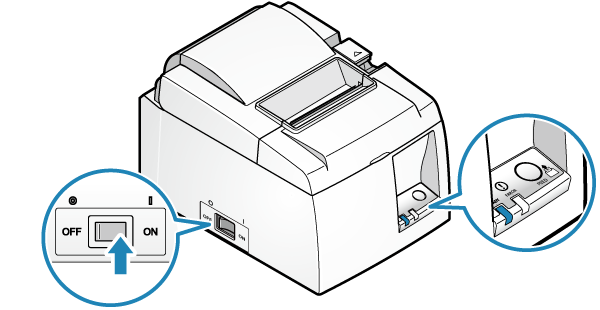 Push both sides as shown in the diagram and close the printer cover . Remove the piece of paper that was automatically cut. Use paper roll that complies to the following specifications. Do not glue the paper roll and axial wrapper. For recommended paper rolls, refer to List of recommended paper rolls.